Alan Segal was a friend. He died in the spring of 2011 leaving behind a big hole in the world of many friends and his family. Alan helped me get my first book published. He read my manuscript on a flight from New York to San Francisco in the early 1990s. Not long after he wrote to Professor Martin Hengel and recommended my book for publication in the series known to many New Testament scholars: Wissenschaftliche Untersuchungen zum Neuen Testament (2nd series). Old Testament Yahweh Texts in Paul’s Christology was published in 1992 by J. C. B Mohr. As the years passed, I had the privilege of traveling with him to conferences and rooming with him during several of the national meetings of the Society of Biblical Literature. To know Alan was to be invited to dinner along with 20 other people he met on the way to the taxi. Alan was able to order food in seventeen different languages. Alan always had a big table. As the food came, he would entertain everyone with his stories and good humor. To know Alan was to be made to feel welcome and important. I wonder how many young scholars Alan helped along. To walk with Alan across a hotel lobby meant being stopped fifteen times by his friends and admirers. It took forever to go from Point A to Point B, but the time it took went quickly. In the middle 2000s, Carey Newman of Baylor University Press and I brought together a team of scholars to publish a Festschrift for Alan Segal and his good friend, Larry Hurtado. We tried to keep the project a secret, asking Alan to write an article for Larry and Larry to write for Alan. At the time they didn’t know it but they were contributing articles to a Festschrift dedicated to both of them. Israel’s God and Rebecca’s Children was published in 2007 by Baylor University Press. 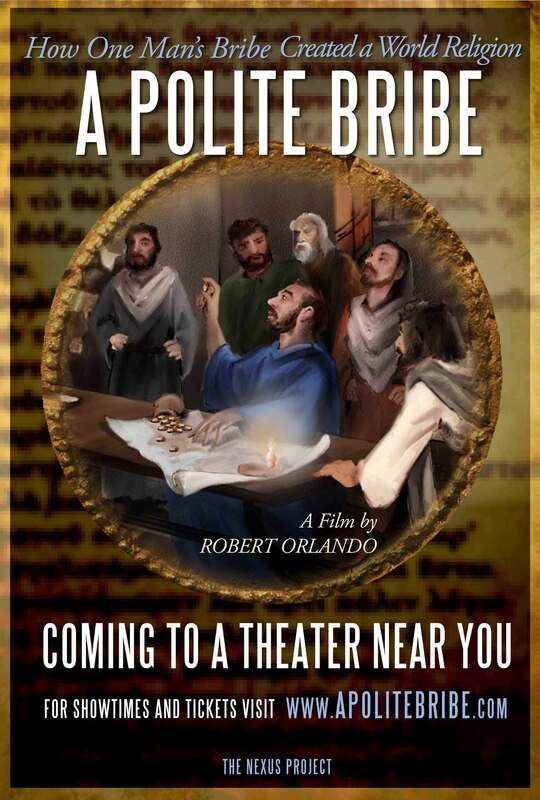 Today, I received an email from a film producer, Robert Orlando, about a movie dedicated to Alan Segal. The movie is called “A Polite Bribe,” and I can’t wait to see it. At the bottom of the email was a 2 1/2 minute video of Alan Segal talking about the Apostle Paul, a subject near and dear to both of us. The video is on the blog post of a new friend, Dr. James McGrath of Butler University. See the link below. The last time I saw Alan was in December 2010. Larry Hurtado, Carey Newman and I flew to New York to see him. We knew he was very ill but we never thought we’d never see him again. He died just a few weeks later. Today when I saw the video of Alan, a rush of emotions came over me. Here was Alan, looking well again, sounding strong again, talking once again about Paul. Here is a link to James McGrath’s post about the movie. At the bottom there is a brief video about Paul featuring my old friend, Alan Segal. I can’t tell you how much I miss him. If you knew Alan, then you will want to see this. If you didn’t know him, then perhaps you will hear in his voice or see in his face a truly great soul. By David B. Capes in Uncategorized on September 27, 2013 .